Norma McDonnell, with husband Fred, holds a plaque that was awarded to her by the California Department of Forestry for 20 years of dedicated service. 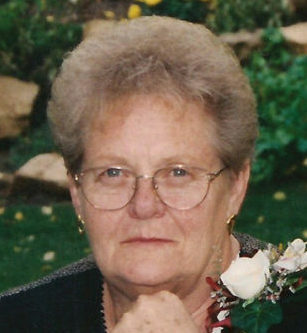 MANTI—There was a time when Norma McDonnell of Manti would have been the person to call for help if any structure or forest fires broke out in the state of California. McDonnell fought fires and dispatched firefighters for 20 years in the Golden State before she moved to Utah in 2005. 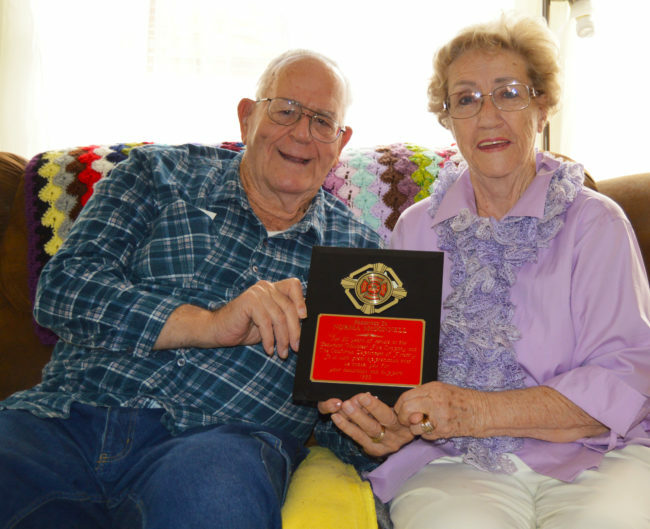 She was even awarded a gold plated plaque from the California Department of Forestry (CDF) for the many years spent dedicated to the department. In 1973, McDonnell said her oldest daughter, Lorna, was a firefighter and it encouraged her to step out of her comfort zone and also give firefighting a shot. “I figured if my daughter could do it, so could I,” she said. By the end of 1973, she earned her firemen’s training, received her EMT license and was dispatched to her first fire. She says the most memorable fire she worked on was not the first one, but one that ran so wild, it shook the nation. The fire was the legendary Yellowstone National Park fire of 1988, known as “The Summer of Fire.” According to National Park Service (NPS), multiple small fires caused by both people and natural elements burned approximately 63 percent of the park. That year the NPS had to recruit firefighters nationwide to contain the inferno, and one department that jumped on board was the CDF where Norma served as a dispatcher. Fighting fires is not for the meek, and Norma said she had got herself into a sticky situation while fighting one of her first wildland fires, which happened to be right across the street from the fire station. But she said when she looked around all of the other firefighters were running away from the building, too. Her husband of 57 years, Fred McDonnell, says he had also tried his hand in the fighting fires, but only lasted a couple of months before he got burned out from juggling fire responsibilities and his breadwinning responsibilities as a union plumber. Although the couple never fought fires together, they said they had run into an unfortunate situation while returning home from the Moose Lodge, a fraternal organization in Riverside County, California. McDonnell says she remembers rushing outside to make sure everyone was safe but found the truck driver frantically looking for something inside his big rig while it was ablaze. As a trained fighter, she said she felt it was her duty to dive into the burning truck to help the man. When she found him, he had been frantically searching for his Chihuahua. After her firefighting days, she said the couple wanted to move to an affordable area that was close to an LDS temple, and found Manti to be the perfect fit. Now, because the couple has settled into retirement, they say they want to relax. And if toilets flood or fires go up, they call plumbers and fire departments to handle the dirty work. MANTI—Sanpete County has received the remaining $24,850 of $37,850 taken from it back in June by email scammers. Sanpete County has stringent procedures in place to address payment of bills by check, but since it rarely works with wire transfers, there was no firm procedure to address the situation at that time, so Willden wired the money as instructed. Two hours later she started having doubts. “I called the bank right then and started the process [to recover the funds],” she told the Sanpete Messenger shortly after. Zions Bank was unable to stop or reverse the transfer, and it soon became apparent the whole thing was a scam. In September, after verifying that the email was fraudulent, Chase Bank refunded $13,000 to the county but was unable to return the rest because the funds were not transferred into the registered account indicated in the email and it could not locate where they were transferred to. 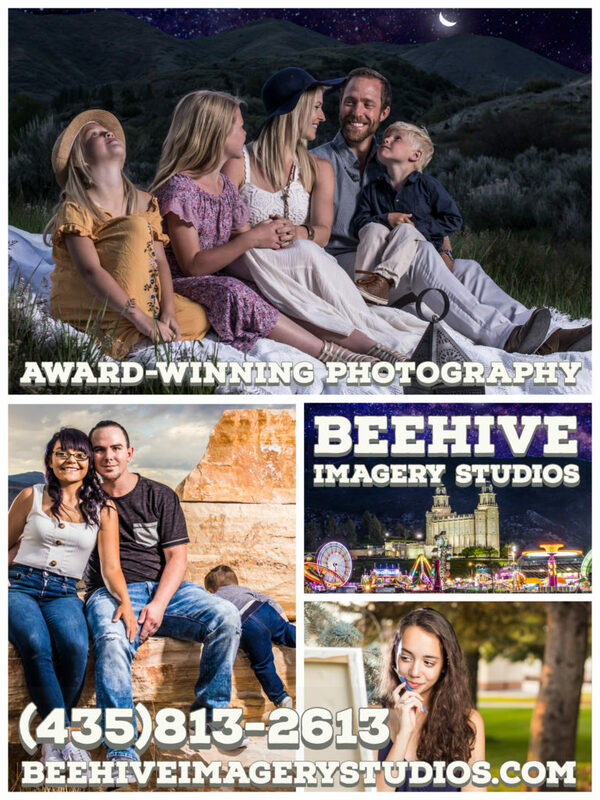 Sanpete County, and Willden, was not alone in being duped by these scammers. According to Korby Siggard, Utah Counties Indemnity Pool claims manager, Emery and San Juan Counties were also hit. In Utah, 22 counties, including Sanpete, are self-insured through this pool. In all three cases the emails were the same, Siggard said. On June 29, the state auditor’s office sent an email to all Utah counties alerting them of the scam. “This targeted email scam thrives on familiarity using information publicly available on an entity’s website such as names, titles or other references,” it said. The three counties subsequently filed claims with UCIP and received the funds two weeks ago. The incident “didn’t cost the taxpayers a dime and the county was made whole,” Willden said. But the experience has certainly left its mark. “I feel horrible, stupid that I fell for it, but the email was quite urgent, so there was no normal reason to question it,” Willden said. The incident has led to changes in all three counties. Now, in Sanpete County, if such a request comes in, it will be scrutinized by both the treasurer’s and auditor’s departments, and no transfer will be made until the request is verified with the sender. Willden said the county commission has been very supportive of her throughout this process. “They understood this could happen to anyone and have stood behind me,” she said. This email is similar to another making the rounds that targets individuals and purports to be from someone the receiver knows. The scammer claiming to be an acquaintance says in these emails that they have been mugged while traveling and asks the targeted individual them to wire emergency funds immediately. 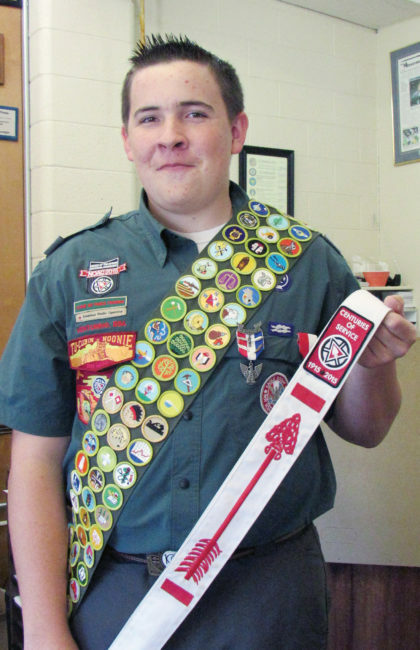 Dustin Zeeman is wearing his Scout bandalo sporting 142 merit badges, all the merit badges the Scouts offer. He is holding his Order of the Arrow sash signifying admission to the Scout honor society. CENTERFIELD—Many 18-year-olds have a few trophies, awards or even a high school letter signifying their accomplishments. But few have anything approaching what Dustin Zeeman has. The son of Dee and Beverly Zeeman, Dustin recently became the first Boy Scout in the Arapeen District to earn all possible merit badge—at this time 142. 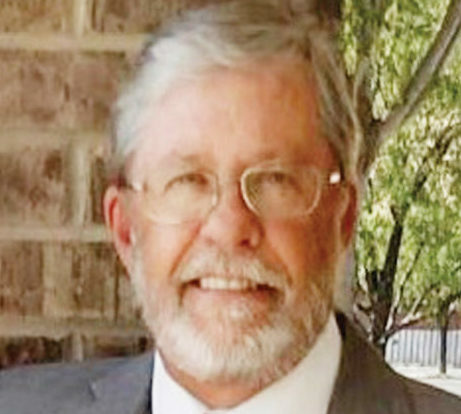 “I am not aware of another Scout that has done this in the Arapeen District,” said Jay Zabriskie, communications director for the district, which encompasses Sanpete, Sevier and Wayne counties and the Fillmore area in Millard County. Dustin said it’s been quite a journey since he was originally motivated by his then-Scout master Matt Reber of Axtell, who promised his 13-year-old Scouts a rifle if they earned all of the merit badges. Dustin said the process of obtaining all those merit badges has been worth it. Dustin said his friends think “it’s a cool accomplishment.” But the path he has traveled to reach this point has been mainly on his own, with a hand from his mom, Beverly. “I have to give my mom quite a bit of credit. She helped keep me going,” Dustin said. In fact, when Dustin was a Cub Scout, Beverly was his Cub master. Beverly said Dustin has always been “a really easy-going great kid, willing to help people” and easily made the transition to rural life when the family moved to Centerfield in 2006. Dustin is actually Canadian, having been born in Lethbridge, Alberta where his mom is from. As a young Scout, Dustin started out going to merit badge pow-wows, which enabled him to earn three merit badges in three weeks. But as time went on, it became more difficult to find classes for the merit badges he wanted. He said he often had to search all over Sanpete, Sevier and even Utah counties to find merit badge counselors. With one in particular, Oceanography, the Zeemans just couldn’t find anyone. So his mom signed up to be the counselor. Dustin completed the requirements for that merit badge at Scofield Lake. His favorite merit badge was Aviation where he got to fly a plane, thanks to the generosity of a pilot at an air show held at Mt. Pleasant Airport in 2010. Dustin said his most difficult merit badge was “sustainability.” The requirements weren’t that difficult, he said, but there was a lack of knowledge in the Boy Scout community about the requirements. “I had to take three different classes to get that one,” he said. One class had 20 Scouts in it, but none of them got the badge, he said, because it turned out there was a requirement nobody involved with the class was aware of. Along the way, he also earned his Eagle Scout award. For his Eagle project, he built two solar dehydrators for an Arizona Hopi Indian reservation. During this time, Dustin didn’t just earn merit badges—he also shared his knowledge as a merit badge counselor at Camp TIFIE, the big Scout camp east of Mt. Pleasant, for two years, something he really enjoyed. He said one of his funniest teaching experiences was when he taught the radio merit badge and sent Scouts on a scavenger hunt to track down a signal. The thing he didn’t tell the Scouts was that he had put the beacon in the camel pack of another Scout and instruct him to run around camp. “There were times when I’d see that kid pass by three or four times, and they wouldn’t even know it. That was funny,” he said. Currently, Dustin, who is a member of Venturing crew 1389 and the Order of the Arrow (the Boy Scout national honor society), is completing high school online and expects to graduate in December. After that, he plans to go to school in Arizona to become a diesel mechanic. He hopes to stay involved in Scouts and to possibly serve as an adult Scout leader down the road. Generally, he has high praise for the merit badge program but said he would really like to see it become more hands-on. Keaton Larry Conover was born to Heidi Ison and Anthony Conover of Sterling on Nov. 11, 2016. He weighed five pounds 11 ounces. Kestry Shay Caldwell was born to Jordan and Shaylie Caldwell of Centerfield on Nov. 12, 2016. She weighed 8 pounds. Harvie Belle Neal was born to Heston and Hannah Neal of Gunnison on Nov. 15, 2016. She weighed seven pounds three ounces. 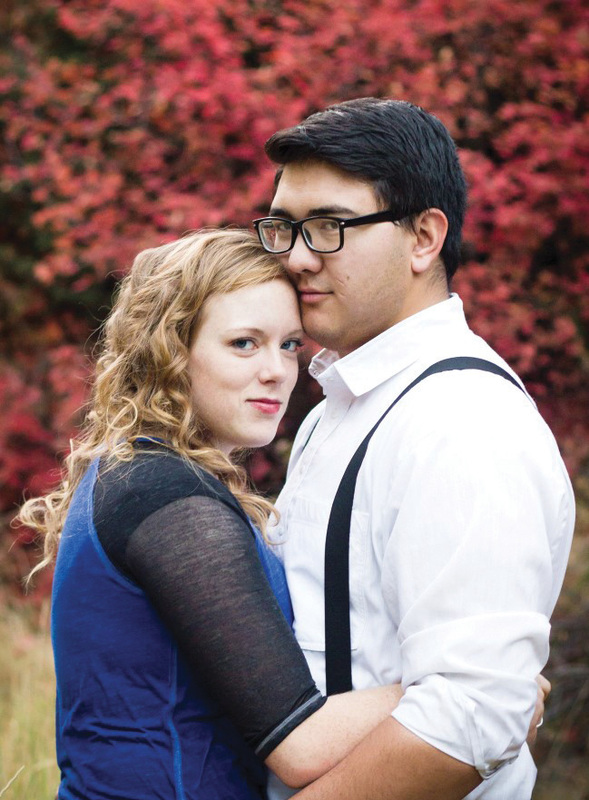 Emily Johansen recently returned from serving in the Tacoma Washington Mission, Cambodian speaking. Her mission homecoming will be on Sunday, Nov. 27, 2016, in the Spring City 1st Ward (15000 N. Hwy 117) at 11 a.m. Although she was sad to leave her mission, her family is excited to have her home. 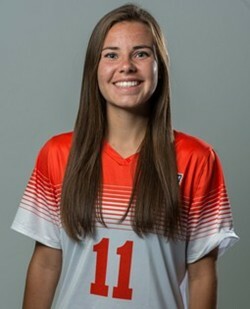 She is the daughter of Darin and Lori Johansen of Spring City, and granddaughter of Harold and Jean Mickel of Spring City and the Late Wesley and Joyce Johansen. 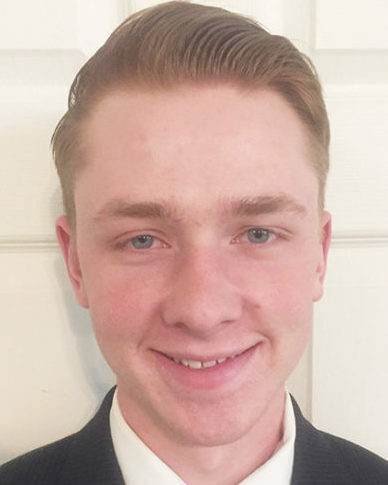 Mackay Merrill Butler, son of Scott and Sherrie Butler of Fairview, has accepted a call to serve in the Resistencia Argentina Mission for The Church of Jesus Christ of Latter-day Saints. He will be speaking at 9 a.m. on Sunday, Nov. 27, 2016 in the Fairview 1st Ward, in the red brick church on State Street. He will enter the Provo Missionary Training Center on Dec. 7, 2016. The marriage between Bonnie Scharf and Christopher Mobley was celebrated on Nov. 5, 2016. This event took place at the LDS temple in Manti, Utah. Bonnie is the daughter of Robert and Jennifer Scharf. and Christopher is the son of Steve and Kathy Mobley. Buelah Ann Stenberg Christensen, 88, passed away peacefully on Nov. 17, 2016 in Gunnison, 12 hours shy of her 89th birthday. She was surrounded by her loving family. Mom is free from the devastating affects of Alzheimer’s, and we are thankful for her release and joyful reunion with Dad and loved ones gone before. She was born on Nov. 18, 1927 in Mayfield, Utah to loving parents, Albert and Rhoda Anderson Stenberg. Buelah married R. Boyden Christensen June 28, 1947 in Mayfield. The marriage was later solemnized in the Manti Temple. He preceded her in death on Feb. 14, 2004. Together they raised five children, Kayleen (Weston) Jeffery, Ray (Laurel) Christensen, Jerolyn (Randy) Young, Candice (Roger) Willardson and Mitzi Crane. Mom had many talents and gifts that not a lot of people knew. She was an excellent homemaker. She was Dad’s loving companion, our sweet and kind loving mother, and the grand- and great-grandchildren’s perfect grandma. Some of Mom’s many talents were her cinnamon rolls and hot rolls. If you ever tasted one of them, it was a little bit of heaven. Each one of the grandchildren received a hand-stitched quilt upon birth and graduation. She was a hard worker and someone you could always depend on. She is survived by her five children and brothers, John and Maynard Stenberg. She was preceded in death by her parents; husband; sister, Vonda Asvitt; brothers, Jay Stenberg and Ned Stenberg; and son-in-law, Bradford Bell. It is with great sadness that we announce the passing of Stanley Ray Adams. Our Husband and Dad passed away, surrounded by his family, of complications of a stroke, brought on by a heart attack. Stan was born Nov. 6, 1947 to Von Stanley and Leah June Doty Adams. He graduated from Granger High School in 1966 and joined the Navy shortly after. He was very proud to have served his country and to be a veteran. It seems fitting that he passed away on Veteran’s Day. Stan married Irene Broadbent on Sept. 18, 1970. Their marriage was later solemnized in the Salt Lake Temple, Jan. 25, 1991. They were fortunate to have spent 46 years together. Our Dad loved our Mom, and they had so much fun together. We are grateful that they were able to spend the last year traveling and laughing. Traveling and being in the outdoors, hunting and fishing were a few of his favorite things. Lake Powell was his favorite place, and we spent many years there as a family, always over Father’s Day. Dad was very proud of his family and was always so supportive. We know our Dad loved us. Stan worked for IHC for 20 years where he made lifelong friends and truly enjoyed his job. Stan had a big heart and was always the first to show up to help. He did so much for others, never wanting or expecting recognition. Survived by his wife and by children, Heath (Jeannie), Brandi (Tyler), Kaysie (Tim), Richard Silcock; former son-in-law, Justin Robinson and his 12 grandchildren with one on the way, whom he is spending time with now. Preceded in death by his parents; father-in-law, Donald Broadbent; brother-in-law, Austin Henrie; and dear friend Winn Frame, whom he has missed so much. Funeral services were held Tuesday, Nov. 15, 2016 at the Mountainville Ward, 461 N. 300 West, Mt. Pleasant, Utah with a viewing from 9-10:30 a.m. A graveside service was held Wednesday, Nov. 16, 2016, at 11 a.m. at the Tonaquint Cemetery. 1777 S. Dixie Drive, St. George, Utah. Online condolence rasmussenmortuary.com. Jesus “Jess” Arronte Puente passed away peacefully in his home on Nov. 7, 2016 in Emmett, Idaho at the age of 92. Jess is survived by his wife Gayle Gibbons and his children Edward Puente, Adele Darling, Victor Puente, Joseph Puente and Christine Porter, his step-sons Robert “Bob” Little, Mark Little and Mike Little, and several grandchildren. He is preceded in death by Belia Cuellar (1923–2013, mother of Ed, Adele and Vic) and Marie Alvarez (1940–2005, mother of Bob, Pat Little (1961–2015), Mark, Mike, Joe and Chris). Jess was born on Feb. 19, 1924 in San Fernando, California to Estanislao Puente (1888–1930) and Joaquina Arronte Gomez (1888–1991). The Puente family moved to their ancestral home of Spain in the late 1920s. Sometime after Estanislao passed away, Jess had to drop out of elementary school so he could work to help support his family, an effort made difficult by the Spanish Civil War (1936-1939). Jess was able to avoid conscription into General Francisco Franco’s army but, nevertheless, witnessed many of the horrors of that war as well as the aftermath of atrocities such as the bombing of Guernica in 1937. During the nearly two very difficult decades that he lived in Spain, Jess never forgot his true nationality as a natural-born citizen of the United States of America and vowed to return to his home country as soon as he could and to bring his family back with him. As teenagers, Jess and his brother—Miguel “Mike” Puente (1922–2011), also born in the U.S.—made contact with the American Consulate in Bilbao, Spain and were able to enlist in the United States Navy toward the end of World War II. His time in the US military helped Jess realize his dream of returning to America with his family, including his mother, Joaquina—who passed away in San Fernando at the age of 102. 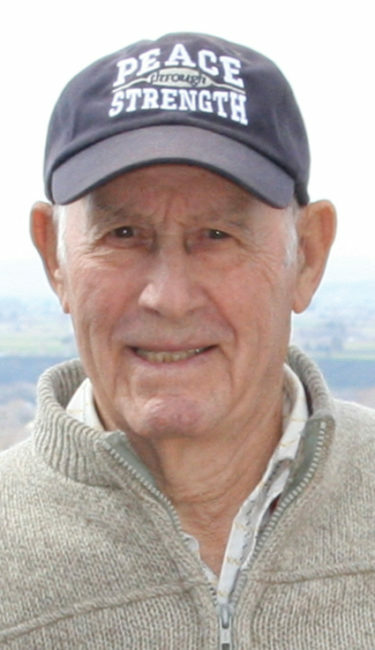 Jess worked primarily as a grocer in the Los Angeles area for over three decades and spent his retirement years in California, Utah, Alabama and Idaho. He was very proud of his children who remember him for his love of animals, telling stories of his youth and his green thumb. A funeral was held in Emmett, Idaho and internment with military honors took place at the Idaho State Veterans Cemetery in Boise on Nov. 10. Photographs, audio and video from the services can be viewed online at http://www.JoePuente.com/JessPuente. PLEASANT—The North Sanpete High School (NSHS) Community Council might end up as the district’s Human Sexuality Committee, a committee required by state law to approve human sexuality curriculum in district schools. The school board met on Tuesday, Nov. 15 to discuss who will sit on the state-mandated committee. “Since we have so few schools, we will simply add a few members to the high school community council, as this committee has approved our curriculum in the past,” Superintendent Sam Ray said. The committees are in place to make sure parents and the community are comfortable with how teachers present human sexuality in classes. This means a committee must approve the maturation program in elementary schools, the biology and health classes in secondary schools, and even the child development classes in the high school. The committee is required to meet once a year, but only if there is going to be a change in the curriculum. Ray says there might be years when there is nothing to approve so the committee would not have to meet that year. The NSHS Community Council preapproved the current high school curriculum. The middle school has not made any changes to its curriculum in a couple of years, and the school board itself approved the curriculum long ago, Ray said. Ray said a law professor at the University of Utah sent a request to the district to answer questions about the district human sexuality curriculum and to return a copy of the policy. Since the district didn’t have a policy, leaders reviewed a Utah School Board Association sample policy and turned to their attorney for direction. The attorney advised the school board to revise the current policy and to have a nurse, a health teacher and additional parents join parents already serving on the community council. “That seemed to be a much more in line with what we have been doing, and it will be much less of an administrative burden to faculty than to create a whole new committee,” Ray said. The board went through the first reading of the revised policy with all of the attorney’s recommendations at the board meeting and plan to discuss the topic further at the next meeting. 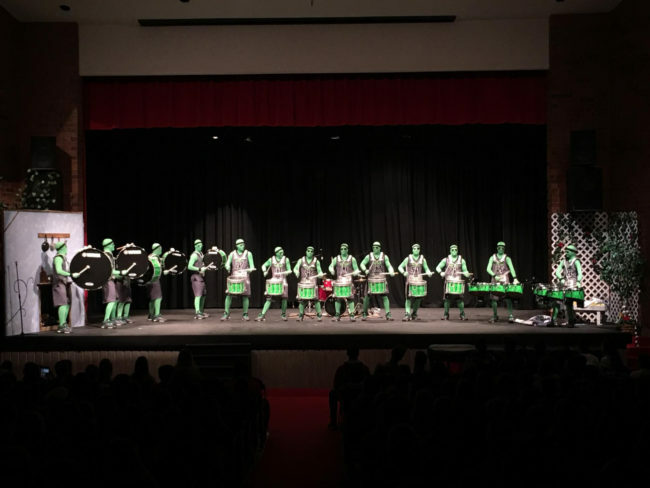 Utah Valley University’s Green Man Group formed a drumline to kickoff the activites for Utah College Application Week, an initiative to get students prepared for college. 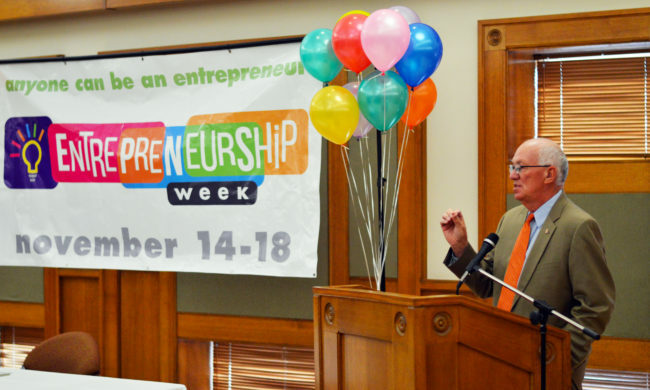 Snow College President Gary Carlston told students and faculty to “think differently” and embrace entrepreneurship opportunities at the opening of the school’s Entrepreneurship Week. EPHRAIM — Snow College President Gary Carlston made a pledge last week to strengthen the college’s focus on promoting entrepreneurship. Carlston made the pledge on Nov. 14 at the kickoff event for Snow’s Entrepreneurship Week, in partnership with the National Association of Community College Entrepreneurship, the nation’s leading organization in promoting entrepreneurship through community colleges. “As we sign this pledge today, we’re committing the college to try and help students and the local economy to think about how, individually, all of us can do a little bit better to support creative thinking and opportunities that are out there,” Carlston said. Through the pledge, presidents of community colleges nationwide commit to take five steps to encourage entrepreneurship and expand the impact colleges have on the economic well-being of the communities they serve. The five steps are to develop transparency of community college and community assets; create internal and external teams dedicated to entrepreneurship; increase entrepreneurs’ engagement in community colleges; participate in industry collaboration; and encourage broad exposure to their college’s commitment to entrepreneurship. Carlston said students who participate in the endeavor the college is supporting will have a profitable future. More than 200 community colleges throughout the nation have signed the entrepreneurship pledge, committing to playing a greater role in stimulating economic development in the communities they serve. Snow will establish a college-wide Entrepreneurship Committee to spread innovation and problem solving into “every corner of the campus” and build strong relationships with academic entrepreneurship transfer programs, including the Lassonde Entrepreneur Institute and the Eccles School of Business at the University of Utah. Snow Student Van Demille, a Rural Health Scholar, is one of many Snow College students volunteering time to help kids like Maddox, pictured here, in the Ephraim Elementary STAR Reading Program. EPHRAIM— When a student signs up for English classes with Kellyann Ure, they shouldn’t expect all of their education to be in the classroom. 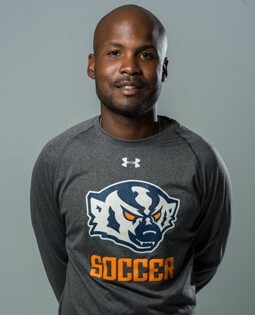 Ure, an assistant professor at Snow College, is one of several professors at Snow participating in Snow’s Civic Engagement and Service Learning Program. Through service-learning, students in various courses at the college take what they are learning in class and apply to the community through service. Or it can work in reverse. Students can apply what they learn through community service to class assignments. Through the service-learning program, students at the college are volunteering at places like Ephraim Elementary School, Badger Daycare, the Ephraim Senior Center, and the Sanpete Pantry. A.J. 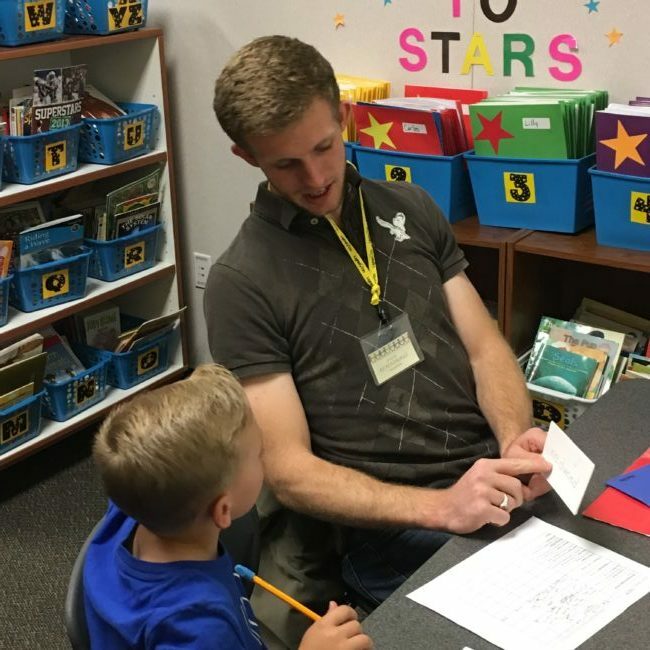 Jones, one of Ure’s students, is doing volunteer work for college credit at Ephraim Elementary for the STAR Reading Program. The service is a labor of love for the busy student-athlete, who is a starter for Snow’s basketball team. In most service-learning classes, students draw upon their experiences in the community to present in class about what they learned relative to the subject of the course. These presentations, along with the essays or research papers included, often form the bulk of the course grade. The final point of Ure’s students’ projects will be constructing profile websites of their respective organizations, chronicling their experiences and lessons learned. Ure began implementing service-learning in her courses with the Adopt-a-Grandparent program at the Ephraim Senior Citizens Center, enlisting her students to spend time assisting some of the seniors who come in to the center. 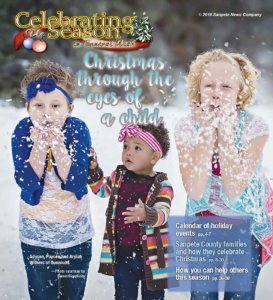 Over time, the number of students available outnumbered the seniors to be served, so Ure expanded the outreach to the elementary school and the daycare at Snow College. 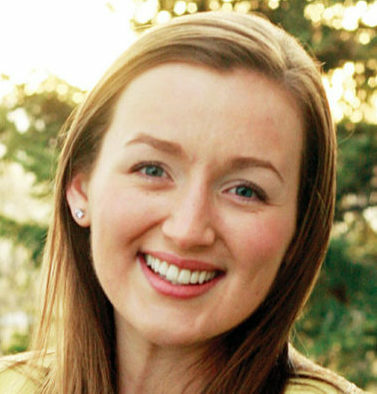 Though Ure’s teaching workload mostly focuses on IVC classes (Interactive Video Conferencing), where concurrent enrollment makes service-learning projects impractical, she is committed to making every course she teaches live on-campus a service-learning class. The preponderance of volunteer work students in the program do is based in Ephraim, but some projects have been taken place in other cities and counties. Approximately 30 courses at Snow are designated as “service learning,” and many others include a service-learning component. More than 20 professors use the modality in full or part in their courses. The courses involved are all over the curriculum, from engineering to chemistry, to history, and even one music class. Of the courses offered, more than half of them are freshman courses. The rest are sophomore level or higher. The word “community, as Shaun Kjar, a faculty member in communication, points out, can take many meanings. Before joining the Communication Department as a professor, Kjar was coordinator of service-learning at Snow. 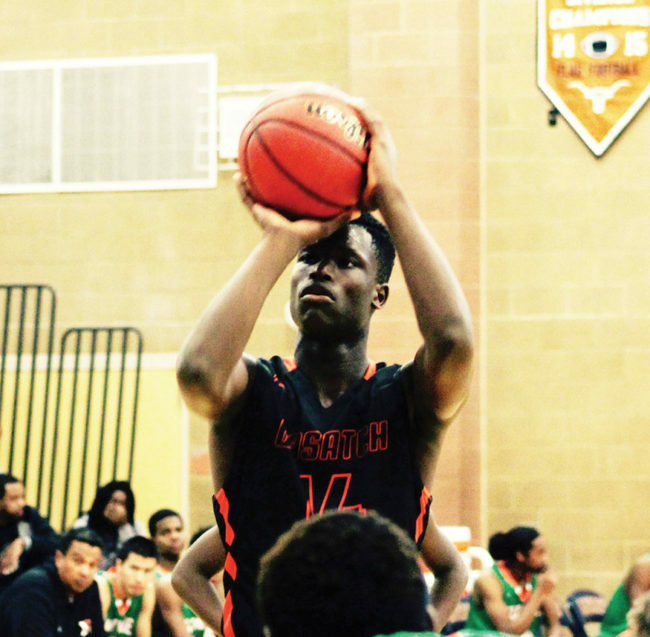 Small forward Emmanuel Akot is a top recuit in the nation for his graduating class. 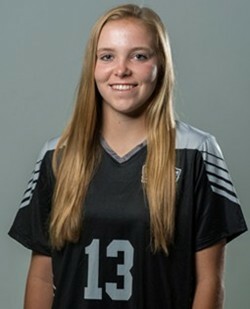 He joins a star-studded Wasatch Academy team this year.